Wildlife-film.com Feature Page - Our urban neighbour - Dani Godwin on a year of wildlife education and filming Bristols foxes. 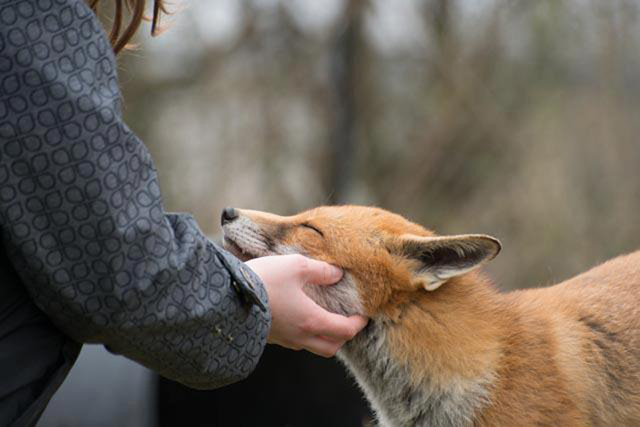 Our urban neighbour - Dani Godwin on a year of wildlife education and filming Bristols foxes. My name is Dani Godwin. I am a wildlife photographer and filmmaker living in Bristol, UK. I have always had a passion for the world around me. 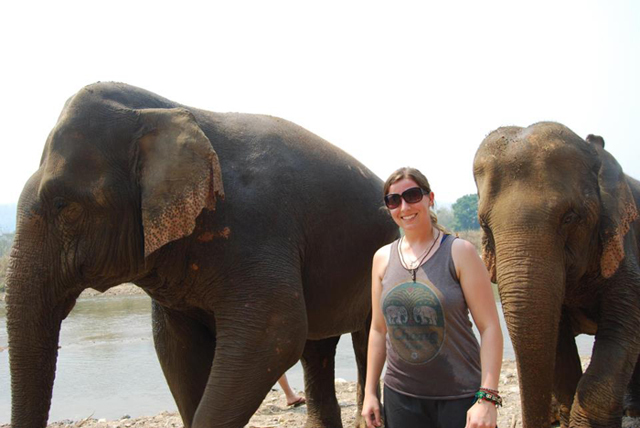 I love to travel and come into contact with exotic wildlife and different cultures. I have spent much of my time photographing in the wild but I have also spent time observing animal behavior inside zoos. After spending six months travelling around the world, crossing borders by every method possible, playing Pictionary with tuk-tuk drivers and spending time with elephants, wombats and many other animals, I have to say my most memorable moment was giving a BBC Wildlife Magazine to a group of Cambodian children and seeing their faces light up in awe when, for the first time, they saw a photo of a wolf in snow. It was a truly inspiring moment for me. I was lucky enough last year to be accepted onto the MA Wildlife Filmmaking course in collaboration with UWE and the BBC. It was, so far, the best year of my life. I have come out of the year with a well-rounded understanding of the film industry and have met many great people within the industry, who have given me the greatest advice. During my time on the course, I was given many opportunities and have created films for WWT Slimbridge, undertaken research for BBC2’s The Burrowers and was, last year, really pleased to have one of my films “Highly Commended” at the British Wildlife Photography Awards. 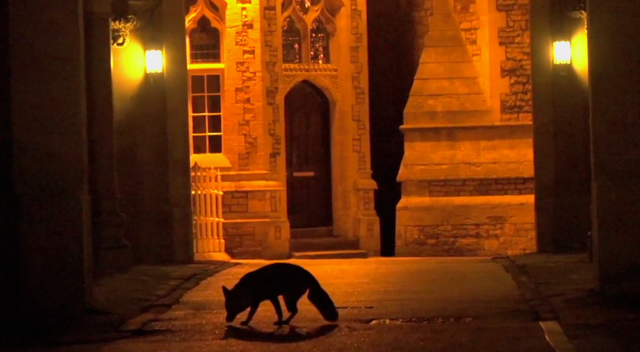 The highlight for me was being able to create a film on a British animal that I believe needed some attention, The Urban Fox. I wanted to create a film that first of all was locally based, that tackled some of the stereotypes that foxes had been given by the media and also speak to a wide variety of people on their experiences with foxes. This journey led me to speak to many local people in Bristol and it did not take long until people’s experiences and opinions were coming in on a daily basis. One of my favourite parts of the whole process was the filming itself. From the staying up into the early hours of the morning to the spring days spent in people’s gardens, catching the first glimpse of fox cubs playing; it was all a real treat. The star of the show was, I must say, the aptly named ‘Tripod’, a three-legged fox. Tripod was an absolute pleasure to film; sometimes he would not leave us alone and always seemed to turn up in places that we would not have expected him! Sometimes, as I and a fellow student walked around in the dead of night, you could truly begin to understand the life that foxes lead. Their life is undoubtedly fraught with difficulties but the world around them is completely different. It is a world that is quiet and very tranquil. You can, to some extent, understand how pleasant it might be to spend a peaceful evening away from our busy, noisy everyday lives. I remember one of the most beautiful experiences was on a cool summer’s night, seeing a fox enter a community garden, lay down under the stars, just taking some time to relax. It looked so content with its life. Over the past year, there are so many experiences I have had with these beautiful animals. I do understand why some people do not get on with these creatures, but I have come to a conclusion that we have so much beautiful wildlife in the UK. We must learn to live around and respect the local wildlife; I suspect the local wildlife will learn to respect us too in turn. Overall it has been a great year and I look forward to the new adventures during this year and beyond! I would also like to thank Pauline Kidner and Secret World Rescue Centre for their help in allowing me to film rescue cubs and foxes. Please do check out their website and please offer any help they may need in keeping our British Wildlife in top condition.